We have always believed that Equine therapy should become a great part in our new project and we have thus taken on this matter knowing it comes with much responsibility. Providing adequate facilities and especially having found Alexia to join our team was enough to give us that extra push to take the last steps to complete our project. One of our most thrilling challenges was to promote, through different activities, to include disabled people with non-disabled ones. We strongly believe that they can enrich each other through participation in activities that can indulge values and experiences that are, unfortunately, not so present in society. We think that therapy with horses has ample room to develop and we are confident that through the active participation of all kinds of people, we can accomplish very good results. “Equestrian therapy encompasses a range of activities assisted by horses with the aim of contributing positively to cognitive, physical, emotional, social and occupational growth in people with special needs or with certain disabilities. 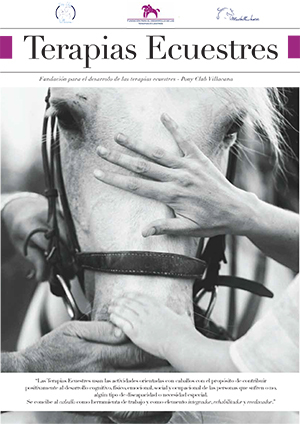 Sandra de Soto, president of the Foundation for the Development of Equestrian Therapies in Andalusia. Our entity is formed by a multidisciplinary team of professionals in the educational and psychological sector, as well as an extensive cooperating team of specialists in all fields of the equestrian discipline. The team is coordinated by the Project Director, Alexia Gómez, who is supported by the Foundation for the Development of Equestrian Therapies of Andalusia, presided by Sandra Soto. With the help of our “animal team” we develop different modalities in Equine-assisted therapies. In 2011 I completed my Degree in Education. After that, I underwent special training in the educational and psychological fields, becoming an Expert in Psychotherapy, Master in Educational Psychology and Master in Equestrian therapy. Throughout these years I have not only broadened my knowledge and experience in the field of Education, but also explored in depth the essential principles and values of our society. 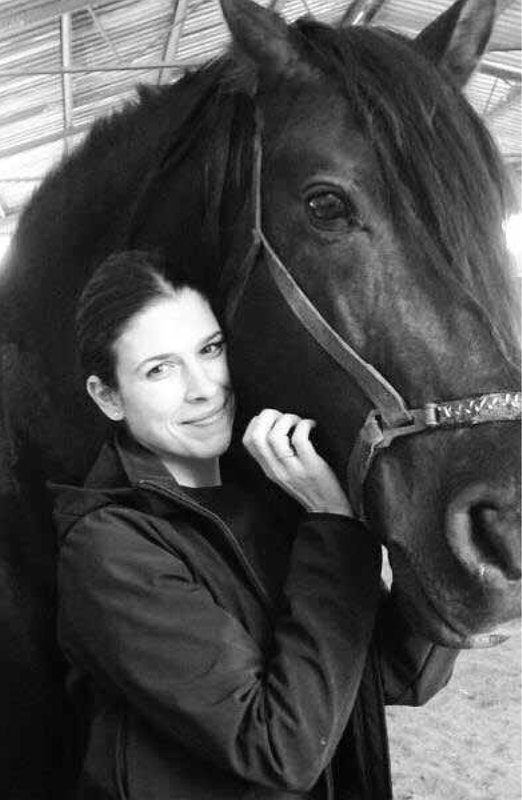 Regarding the equestrian world, I have always enjoyed a great relationship with horses as a professional horsewoman since I was a child. My aim is, from a positive, energetic and enthusiastic perspective, to transmit the passion and dedication that I feel for these beautiful animals, and to indulge in the moral and human values for nature, thus creating an atmosphere where people can develop their abilities, capacities and potential to the fullest. It is a one-on-one physical therapy of neurophysiological nature, with the use of horses, where the animal becomes the main tool to work with , this is carried out by specialised physiotherapists.. It consists of contributing positively to the cognitive, physical, emotional and social development of the user through contact, managing and riding the horse. It is carried out with the assistance of highly qualified professionals specialised in Equine-assisted Therapy. They are based on horse –orientated Care taking, work and leisure activities to increase independent function, enhance development and prevent disability. It is a therapeutic equestrian sport activity, where the rider exerts control over the horse. It is supervised by highly qualified professionals with specific training in Equestrian therapies.